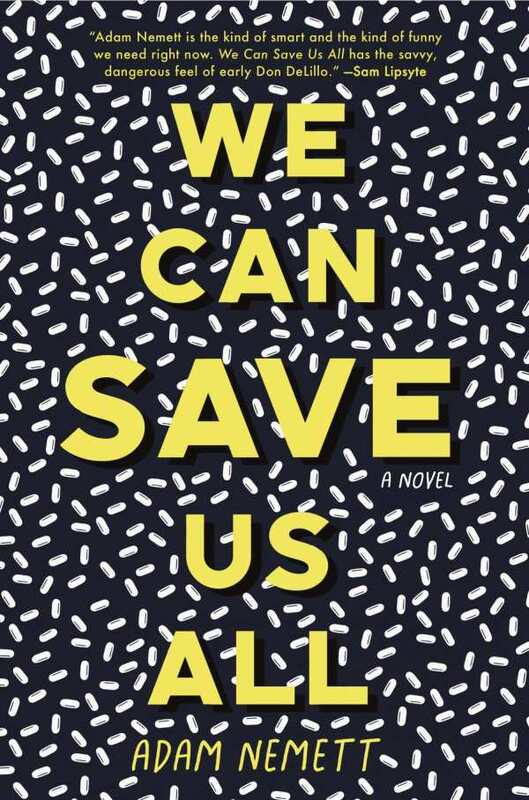 Adam Nemett’s We Can Save Us All is a humorous yet sobering pre-apocalyptic scenario. Realistic and smart, this is science fiction at its best. The world seems to be ending, but David, with a group of intelligent, driven Princeton dropouts, is determined to save it. Normal things, like student loans, grades, and classmates’ opinions, cease to hold much weight in 2021. Time is fading; clocks are no longer accurate, and the weather is getting more and more dangerous. Mathias, a prophetic figure also known as Ultraviolet, predicts that June sixth will be the end; David and his group prepare to survive past the date. Flashbacks into David’s childhood and early years at Princeton follow his growth from an ordinary, nerdy guy into The BusinessMan, the underground chief of a group whose members think of themselves as superheroes. Publicly, Mathias is their figurehead, but David is doing the work behind the scenes. Each member of the group has an alias, costume, and thesis that they spend their waking hours developing. Creative? That’s an understatement. The book’s dialogue is abnormally poetic. Mathias speaks with calculated purpose, adding to the romanticism of a pre-apocalyptic world, where abandon and carelessness run rampant. Foreshadowing, whether it is purposefully obvious or more subtle, is used to hint at the future of the group and the world as a whole. Drugs, from Zemoral to DMT, are used frequently and without caution, blurring the line between reality and intoxication. With just the right amount of ridiculousness, We Can Save Us All is a futuristic superhero tale where the heroes are passionate, intelligent Princeton students fighting to save the world.